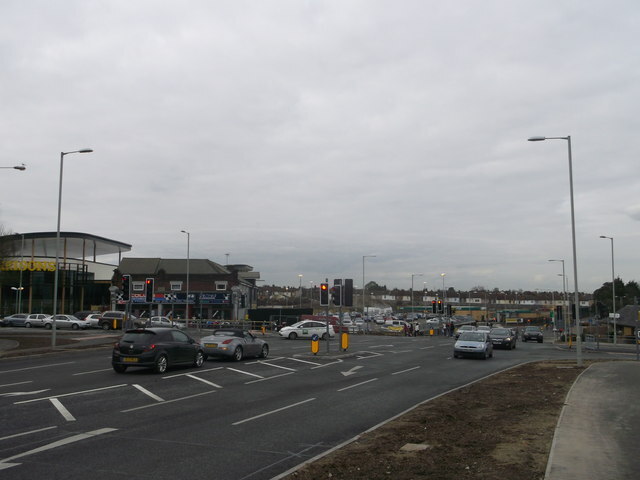 This junction used to be a roundabout, but since the construction of TQ9064 : Morrisons Sittingbourne (4) (on the far left), this has been removed and a traffic light junction has been installed. Eurolink Way from Eurolink Industrial Park (and eastern Sittingbourne) becomes Mill Way towards Milton Regis. Milton Road leads left towards central Sittingbourne. The Wall leads into a retail park (Homebase, Dunelm, Halfords, Currys and PetsatHome).